Hitting theaters just in time for the Autumnal Equinox is Hugh Jackman's latest non-Wolverine flick, Prisoners. 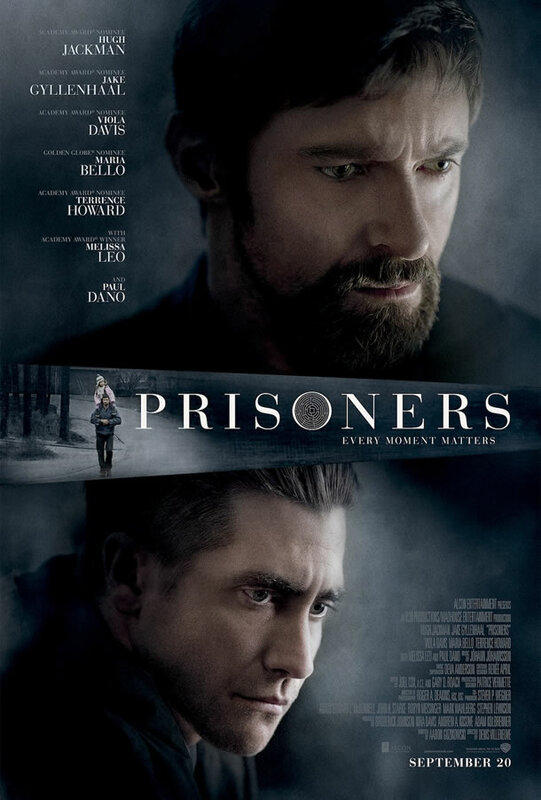 While it probably won't reach the box office riches or awards talk of last years Les Miserables, Prisoners stands as a deftly made studio release that is intense, compelling and satisfying. Set in suburban Pennsylvania on Thanksgiving, Prisoners is the story of two young girls who go missing. A seemingly obvious lead bears no convictions and Jackman's father/carpenter/survivalist takes matters into his own hands, kidnapping the alleged suspect. Canadian director Denis Villeneuve has created a moody mystery piece that made me laugh, gasp and cringe over it's 2.5 hour running time that takes a few left turns but never cheats the audience out of a satisfying conclusion. Jackman's performance is raw and powerful, I don't think he's ever come across this real and hopefully he can ride the acclaim through awards season. In an age of prequels that tell us everything about a character and leave nothing to the imagination, Prisoners is filled with hints of back stories that are never told. Especially with co-lead Jake Gyllenhaal who plays the detective searching for the lost girls. He spends Thanksgiving alone at a Chinese restaurant, has solved every case he's worked on but sports multiple tattoos like a thug and wears what looks like is a Mason's ring. Instead of giving us some familiar back story involving a lost wife or children, we only see and know him in the context of the story. With kids back in school, Prisoners leads off the adult friendly fall that includes The Fifth Estate, Captain Phillips and Gravity before franchises, kiddie fare and Oscar fodder start rolling out for Thanksgiving and Christmas. Until then, enjoy movie crowds that don't check their phones every five minutes while you can.